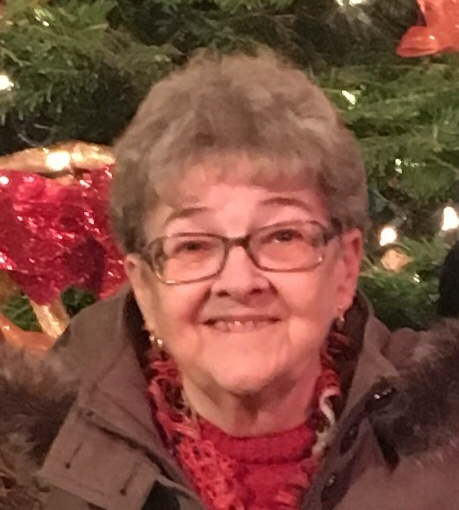 Carole Sue Willison, 79, of Butler, died unexpectedly, Monday, August 27, 2018, at her home. Born October 27, 1938 in Butler, she was a daughter of the late Charles and Nellie Zaludek. Carole married Dale L. Willison on June 10, 1961, he preceded her in death on March 21, 2010. Carole was a lifelong member of St. Michael Greek Catholic Church in Lyndora. She was a 1956 graduate of Butler High School. During her life she held may jobs which included an operator for the phone company, a switch board operator for Castle Rubber and a student and teachers aide for the Butler School District. She loved gardening, bowling, her Pittsburgh Steelers, Pens and Pirates. She volunteered for the Special Olympics and had cherished the time she spent with her grandchildren. Surviving are her children and their spouses, Carrie L. and Timothy Blose of Butler; Robert P. and Beth Willison of Slippery Rock; Amy S. and Thomas Brew of Temple, TX. 6 grandchildren: Matthew and Rachel Blose; Helena Brew; Hannah, Nathaniel and Isabelle Willison. 2 sisters: Nancy (Kenneth) Huff and Joan (John) Waterbec, all of Butler. 1 brother, Michael (Judith) Zaludek of Butler. 2 sisters-in-law: Judy and Bonnie Zaludek, as well as several nieces and nephews. In addition to her parents, she was preceded in death by her husband Dale Willison; 2 brothers, Charles “Butch” Zaludek and David “Zeke” Zaludek. Friends will be received at the Geibel Funeral Home, 201 East Cunningham Street, Butler, from 4:00 p.m. until 7:00 p.m. Thursday. Funeral Services will be held on Friday, at 10:00 a.m., at St. Michael Greek Catholic Church, 610 Hansen Avenue, Lyndora. The Rev. Douglas Lorance, Pastor, will officiate. Interment will follow In Butler County Memorial Park. Parastas Services will be held at 7:00 p.m. Thursday at the Funeral Home. In Lieu of Flowers, Donations may be made tot the Special Olympics, P.O. Box 2561, Butler, PA 16003, or to St. Michael Greek Catholic Church.